At a certain point in the life of every rock band, you begin to slow down and appreciate the finer things, like the simple joys of a nice bottle of wine that you can put your name on and sell to diehard fans and ironic types who want to be funny at dinner parties. We’ve seen it happen to Whitesnake, we’ve seen it happen to Train, and now even AC/DC is capturing its essence in a bottle—choosing wine, presumably, because Coors Light already exists. 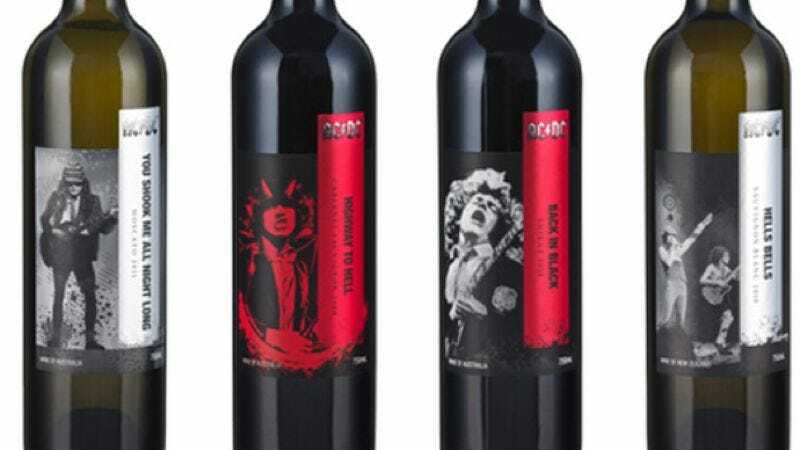 The Australian rock group has teamed with the Warburn Estate for a nationwide release of a line of AC/DC-inspired wines that will be stocked in all the finest Woolworths in their homeland, and will include varieties like Back In Black Shiraz, Highway To Hell Cabernet Sauvignon, and You Shook Me All Night Long Moscato. We know, we know: You Shook Me All Night Long seems more like a merlot, but according to the press release, the Moscato is “perfect for lady rock fans.” Better than a Sink The Pink Rosé? Maybe they should have let the Internet name these.